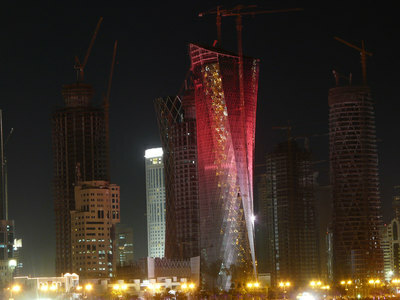 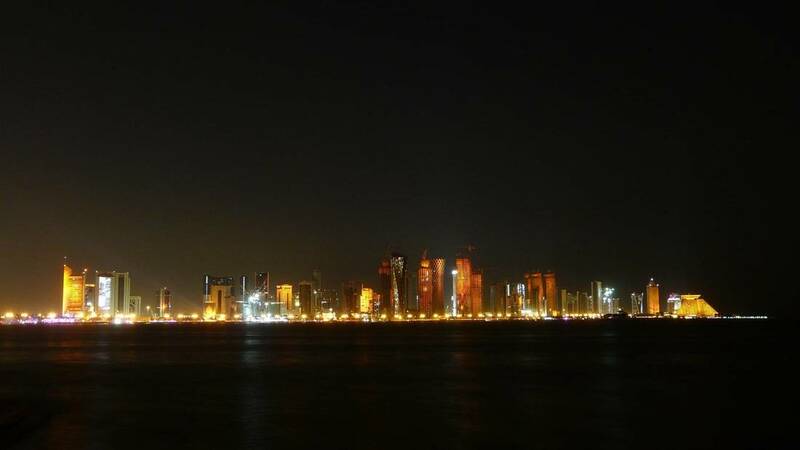 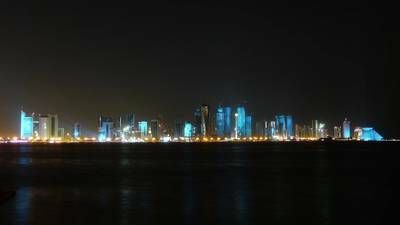 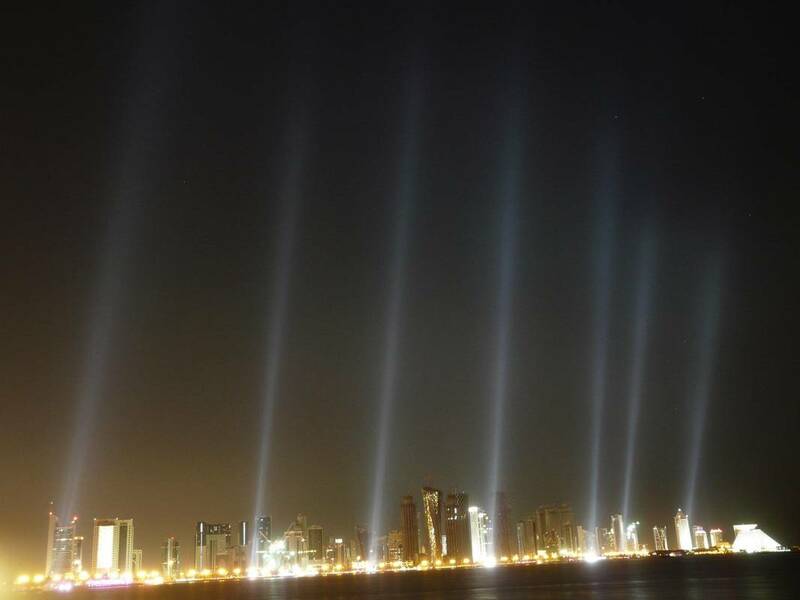 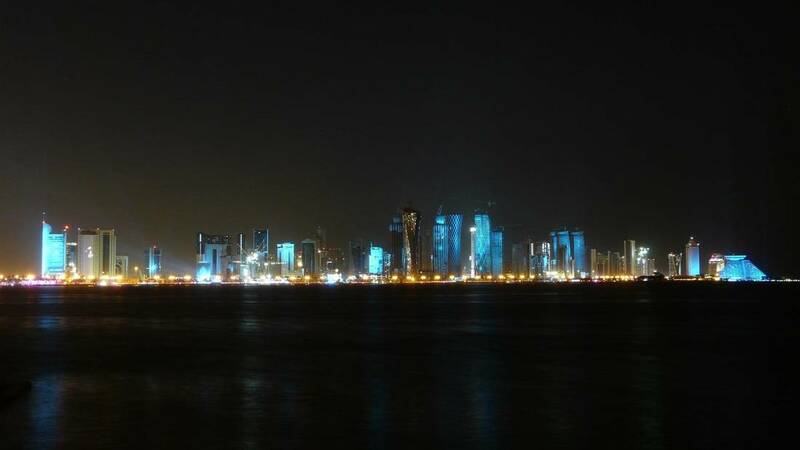 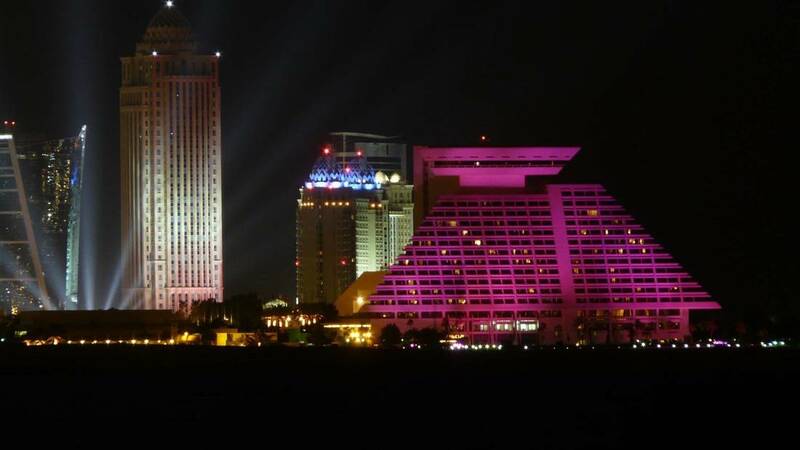 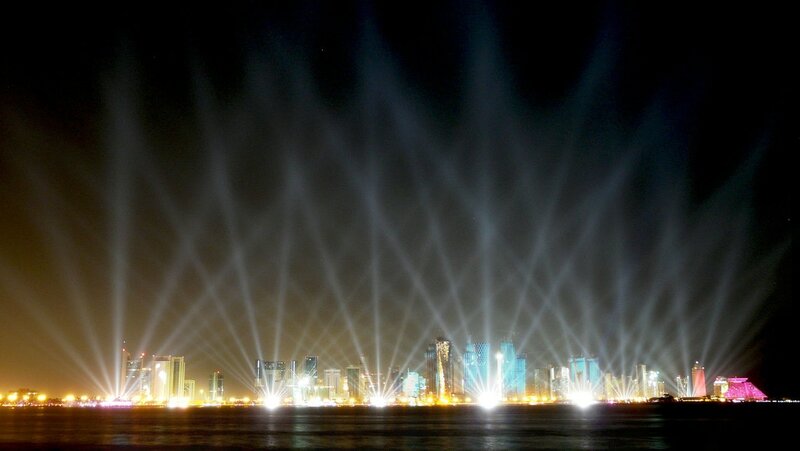 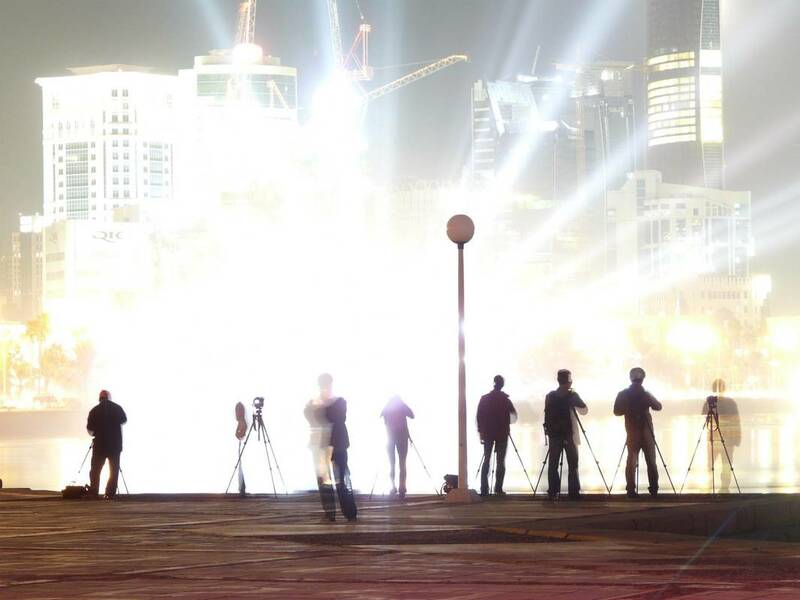 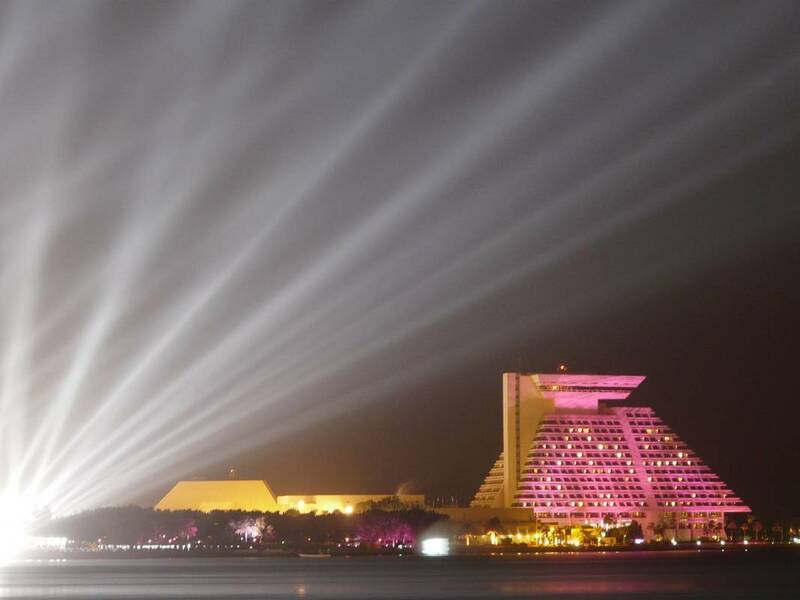 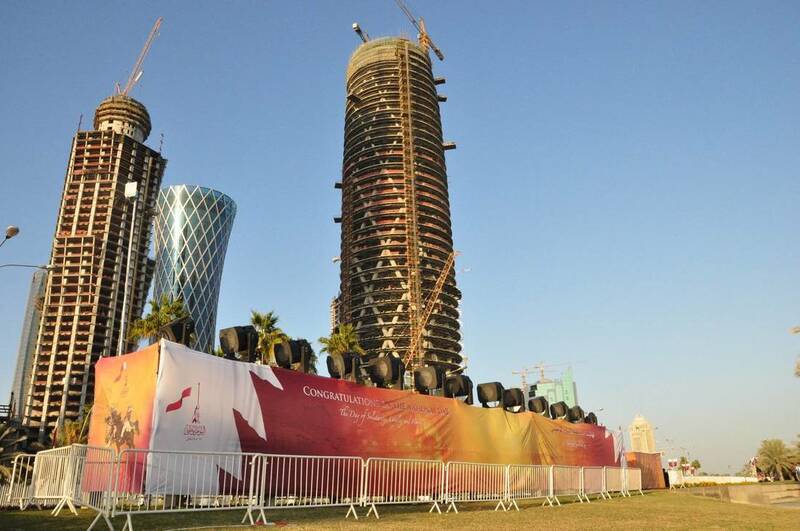 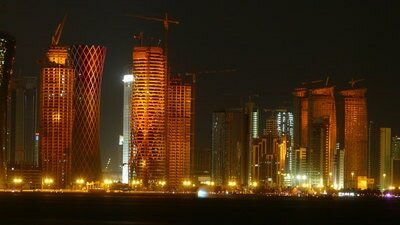 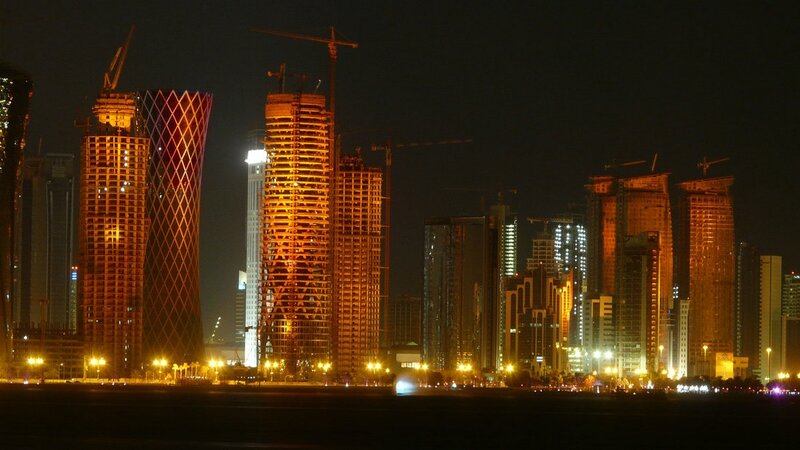 An ambitious project to fill the Doha Bay Corniche with light as part of the first Qatar National Day. 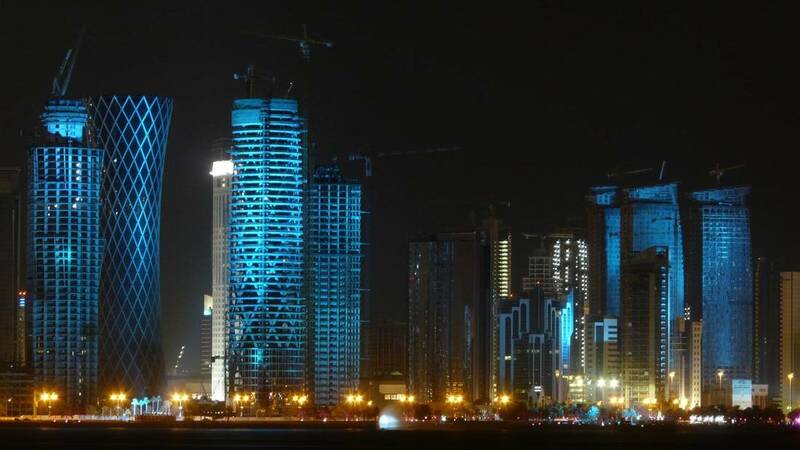 Over 100 Syncrolites as well as dozens of City Colors and other fixtures were utilised for this mammoth installation. 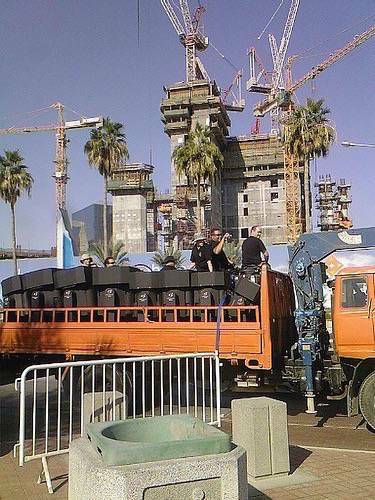 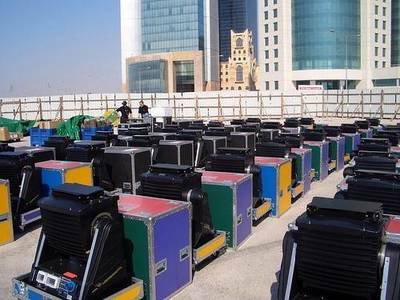 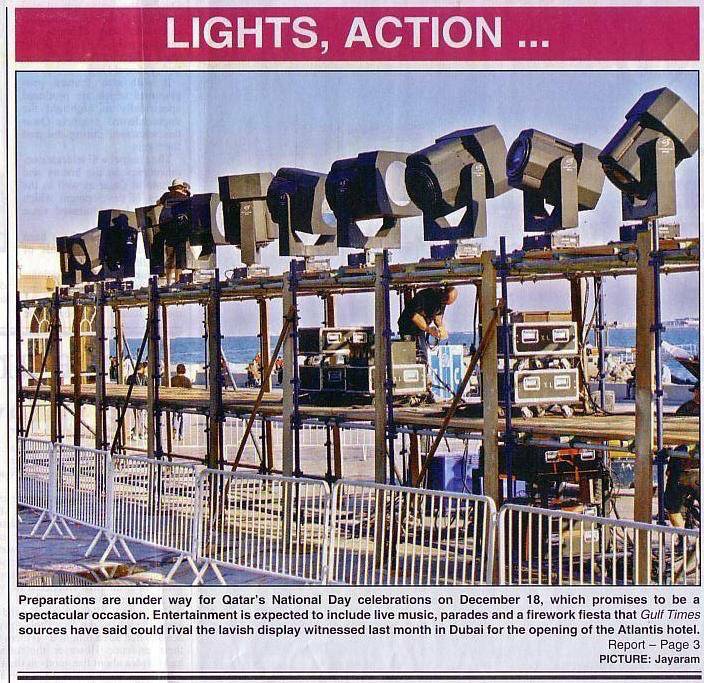 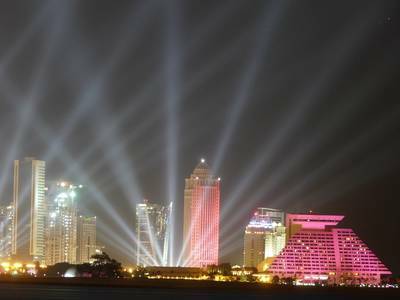 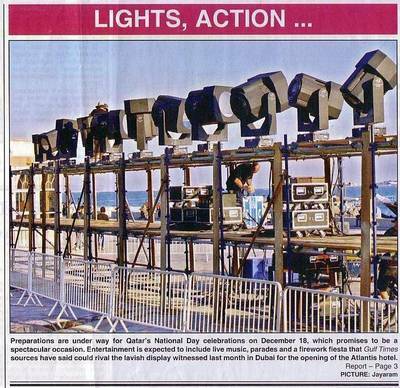 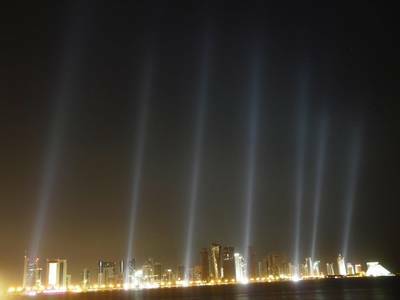 As well as creating aerial beam effects, the Syncrolites were also used during the course of the event to light back into the city, having enough power to illuminate and colour the tallest buildings (some still under construction) on the Doha skyline.